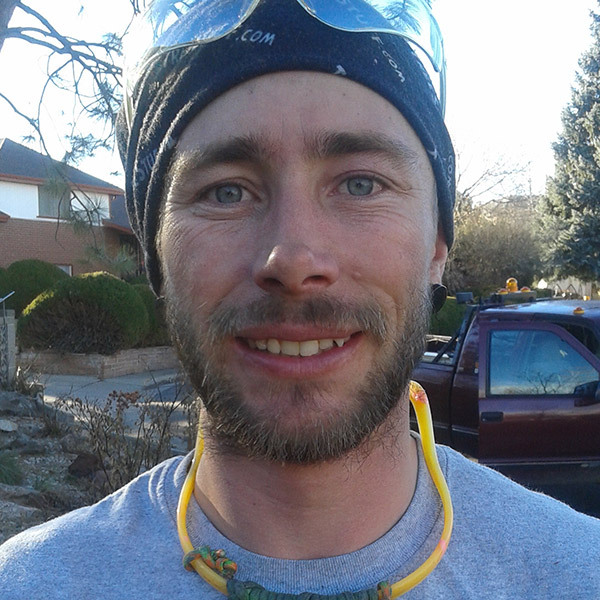 Caleb is an ISA Certified Arborist, ISA Certified Tree Worker Climber Specialist, and a Qualified Supervisor with the Colorado Department of Agriculture. Caleb is a founder of Arbor Roots, his extensive knowledge and passion for both plant and tree healthcare sets Arbor Roots apart from the rest. Caring from the roots up, he ensures that each cut being made is in absolute best interest of your tree. It is Caleb's goal to offer superb customer service and satisfaction. Future aspirations include becoming a climbing instructor, competition proctor and a board certified master arborist. In his little spare time he enjoys relaxing with his wife and kids. Emily is one of our arborists and a founder of Arbor Roots. Since the beginnig Emily has developed a passion for all aspects of Arboriculture and is usually the one responsible for dragging the team out of the field to attend the most recent continuing education course. She enjoys climbing and ground work and is actively handling customer needs and relations. In her spare time Emily enjoys spending time with her kids, reading, yoga, and good music. Alex and Caleb have worked together for several years in the Arboriculture industry, but he has now been with the Arbor Roots family for several years. Alex is a seasoned climber with a strong Plant Healthcare background and is a great asset to our team. You can recognize him on site because he is always smiling. Alex loves camping, fishing and spends much of his time with his family and his beautiful daughter. Aaron is the newest addition to the Arbor Roots family. 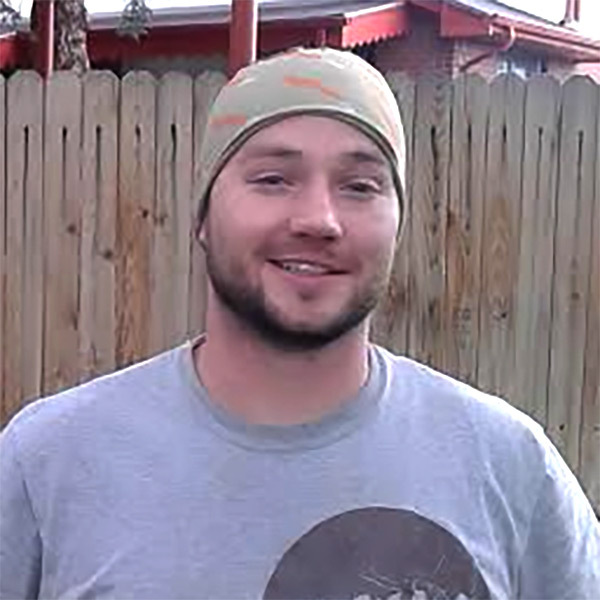 Aaron brings us a lot of high energy and is very excited to start learning the world of climbing and Arboriculture. He has a great sense of humor and we are excited to have him aboard! When Aaron is not out helping us care for you trees he enjoys spending time with his young family. Seth has been part of the Arbor Roots family on and off for 8 years now, the reason he is "off " sometimes is because we loose him occasionally when he has been in Iraq and gone taking care of his military duties. He is also currently a full time student but we love having him around as much as we can get him. Seth is a good climber, ground worker, and is actively studying Plant Healthcare. He is recently married, and in his spare time,..wait, what spare time? Sometimes he gets to go golfing. 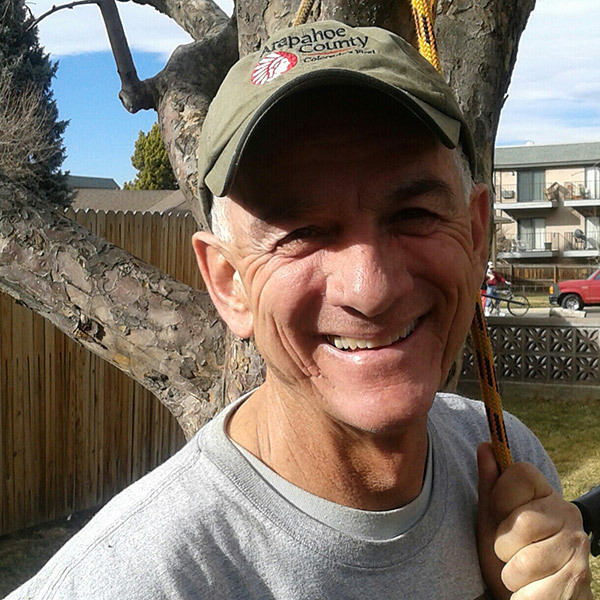 Mark is enjoying his retirement years with the Arbor Roots family. After 30 years as the operations manager and foreman for Arapahoe County Road and Bridge, his knowledge and skills as a heavy equipment operator are excellent additions to our team. Mark also is actively studying plant healthcare and is really enjoying the aspects of Arboriculture in his life. In his spare time he enjoys reading and golfing.